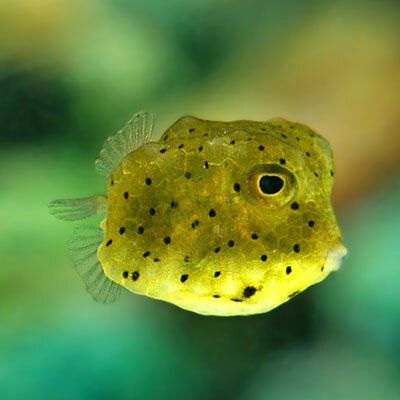 This boxfish is not reef safe. They are ich magnets so you need to be careful when you place one in your tank. Usually you see very small ones for sale, about the size of a nickel, but they do grow and reach about 6-8 inches. You need to be careful as they contain toxins that can be released into the water when threatened or dying. Because of their beaks they shouldn’t be kept in acrylic tanks, as they can take bites out of the acrylic and leave scratches.